HAL sources said that a technical snag lead to the crash. A fire, a plume of black smoke, and a helicopter hovering overhead. This was the scene after a Indian Air Force Mirage 2000 fighter jet crashed near the HAL airport in Bengaluru on Friday morning. According to HAL sources, there were two pilots inside the jet, and both of them ejected before the crash. The two pilots have been identified as Squadron Leader Siddharth Negi and Squadron Leader Sameer Abrol, who were both part of Aircraft and System Testing Establishment iin Bengaluru. Both pilots were taken to Command Hospital, according to HAL sources. However, both were killed in the incident, the HAL PRO confirmed. 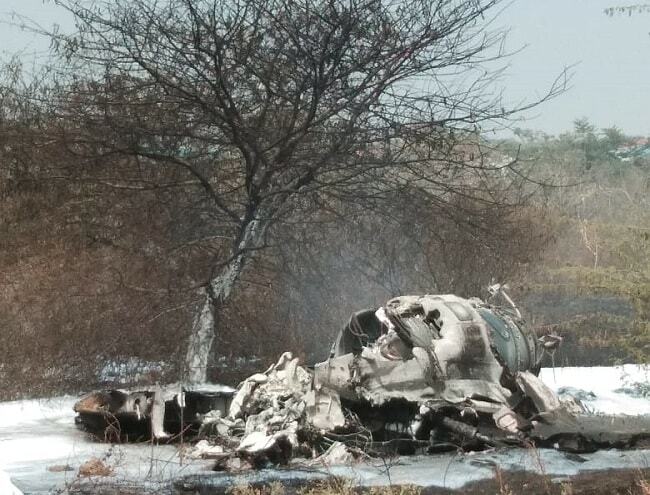 The plane crashed in the Yemalur area of Bengaluru around 10.30 am. According to the HAL police, the aircraft was on a test sortie when it crashed on Friday. Three helicopters and two fire engines came to the rescue within minutes of the crash. 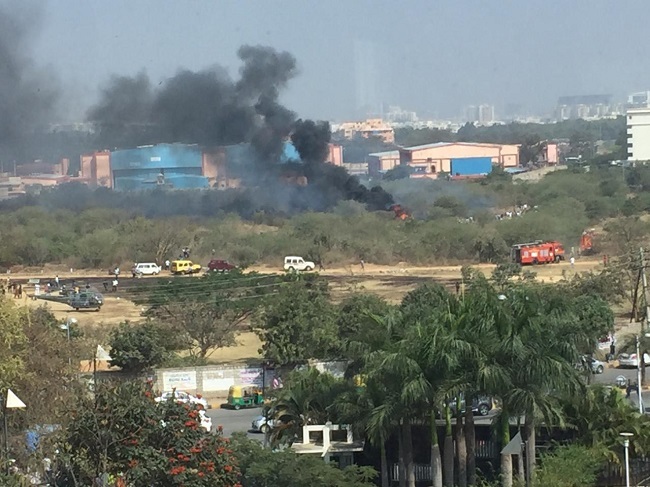 HAL tweeted, "A Mirage-2000 aircraft crashed at HALAirport during a sortie today at around 10:30 am. Both pilots ejected. Further details are awaited." "The pilots were out for a general training session. Mirage 2000 is a training aircraft. The aircraft did not take off properly and crashed into the blockade near the runway. Both pilots ejected but their parachutes, too, caught fire. One pilot died. One is critical and undergoing treatment at command hospital," HAL sources told TNM. The cause for the malfunction is yet to be determined, and an investigation is underway, they added. This is a developing story. More details will be added soon.